The architecture became less primary, acting more as a background to the furniture and artwork. Revisiting this apartment allowed us to evaluate an earlier period of work and refine it in response to a new and more specific set of issues. 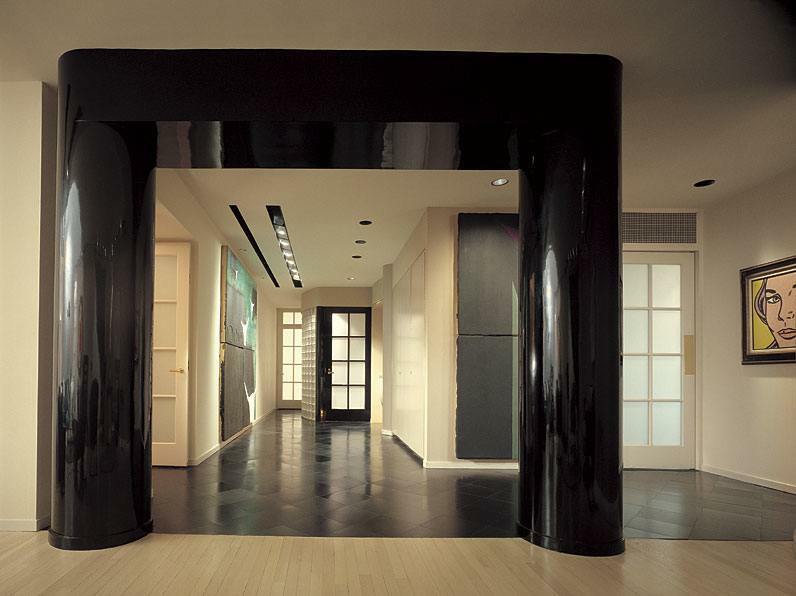 The primary new element—an abstracted portico, engaging two existing columns—marks the transition from the entry gallery to the living/dining space.